Jasper scored three runs in the top of the third and held on to beat Salado 5-2 in the decisive third game of their Region III Championship series. The Bulldogs will go on to play in the state baseball tournament. 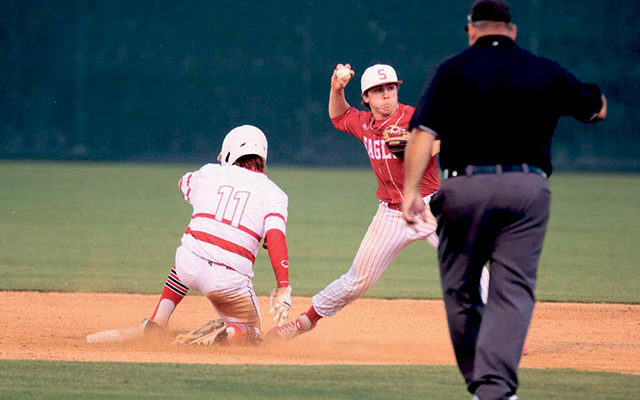 Salado Eagles scored four runs in the bottom of the third inning of their second game against Jasper for the 4A Region III Championship on Sat., June 2, but could not overcome a five-run lead put up by the Bulldogs early in the game. 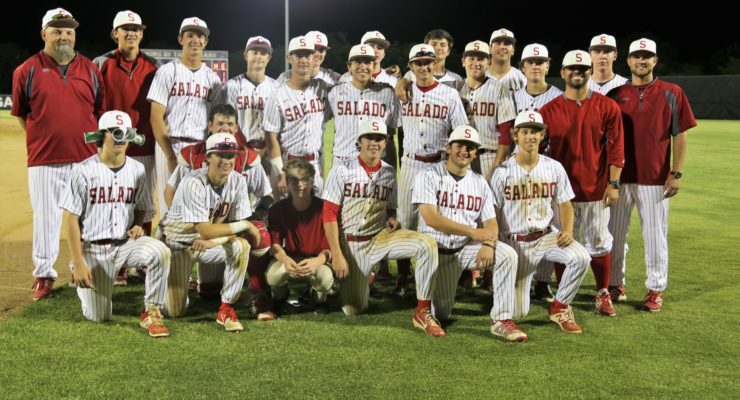 Salado Eagles are a win away from a trip to the 4A State Baseball Tournament. The Eagles beat Jasper 10-1 Thurs. May 31 and will play game 2 at 5 p.m. Sat. June 2 at Montgomery High School (22825 TX-105). If necesary, Game 3 will follow 30 minutes after Game 2. 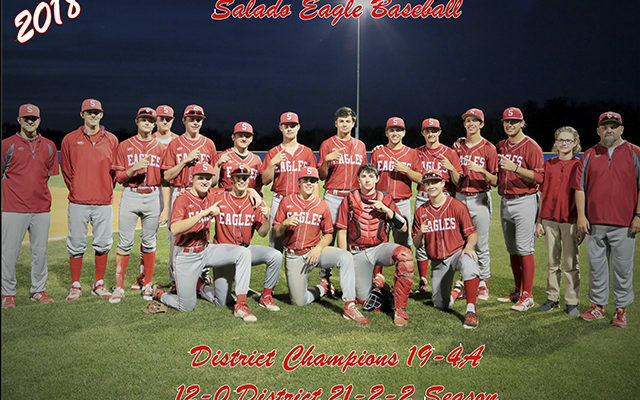 Salado Eagles will play Jasper in the 4A Region III baseball finals after beating Huffman Hargrave in a best-of-three series last week. Jasper beat the #3-ranked Robinson Rockets, 3-1, 5-9 and 13-1. Salado and Jasper will play a best-of-three series with all games at Montgomery High School (22825 TX-105). Game 1 will be Thurs., May 31 at 7 p.m. Game 2 will be Sat., June 2 at 5 p.m. with Game 3 (if necessary) to follow 30 minutes after Game 2. 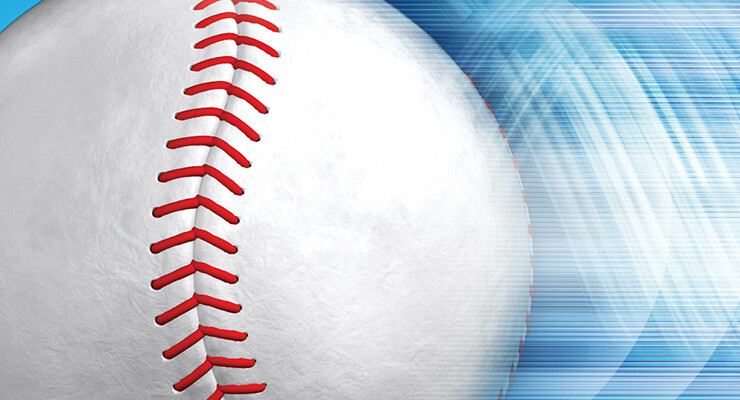 Salado Eagles poured on six runs in the fourth and two in the sixth to run away from the Huffman Hargrave Falcons in the first game of their best-of-three series May 24. Salado Eagles came from behind in both of their games against the Lorena Leopards and will now face the Huffman Hargrave Falcons in the Regional Semi-final round of the UIL 4A Baseball playoffs. Jacob Wilk hit a single, knocking in two runs in the top of the eighth and giving Salado a 7-4 lead over the Lorena Leopards. The Eagles defense gave up a run in the bottom of the eighth but Caleb Self and Ryan Oakes caught fly balls to the outfield and Jacob Wilk struck out a batter to secure the extra inning win for Salado 7-5 on May 18. The win gave Salado its first win over Lorena in the best-of-three series. Salado Eagles had six singles in the fifth, scoring five runs to pull ahead of the La Grange Leopards in their one-game playoff on May 3, winning 5-4. 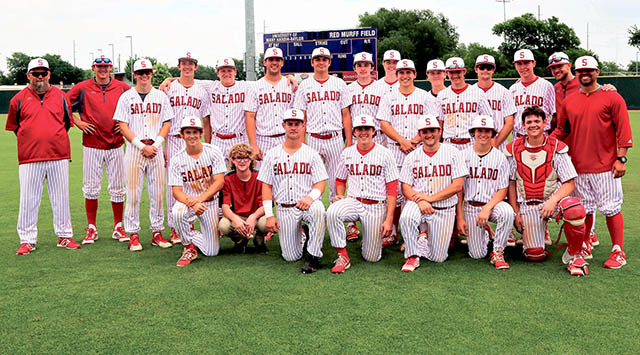 Salado Eagles will face the LaGrange Leopards in the Bi-District round of the playoffs at 7 p.m. May 3 at Hutto ISD baseball field (101 Chris Kelley Blvd). The Eagles are the champions of District 19-4A and LaGrange is the fourth place team from District 20-4A. Salado went undefeated through both rounds of district play, beating Lampasas in the final game of the regular season 2-0 on April 27. Salado had little mercy on the Llano Yellowjackets, beating them 10-0 in a run rule shortened five innings on March 29 to remain undefeated in District baseball.